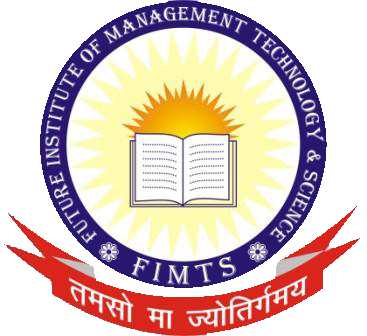 The placement cell of FIMTS has taken upon itself the onerous yet fulfilling task of assisting the students bettering their career prospect by providing them need based and result- oriented training programmes that help them achieve their need. This process is engaged through modern training facilities and innovative methodology which work at satisfying the objective of providing career guidance to students, co-ordination with prospective external agencies/industries/companies and suitably enriching the experience on both sides. The Placement Cell is headed by a committee that exerts itself in order to maintain the high level of interaction enjoyed by the companies with the students, thereby helping the latter to develop successful job strategies and career wise decision-making and other skills commensurate with the expectations of the industry. A good collection of reference books and pertinent articles are available for purposes of understanding the scope of operations better. The members in-charge are available on call to respond to students? questions and concerns including advice on placement procedures, help with preparation of applications, curriculum vitae and reference letters etc. The aim is to ensure that students have the information and skills necessary for an effective job search. To conduct professional training programmes outside the curricula to provide better placements. Arranging preparatory programmes such as seminars, group discussions, written tests/interviews (mock), confidence building and personality development sessions, the general awareness courses etc by experts in their respective fields for students to gauge and handle challenging aspects in their prescribed work sphere. Those considering careers in various fields are offered career guidance and this is usually based on new and revised information regarding workplace trends. Internships are also offered to those students who are keen on experiencing a slice of workplace life. The Cell also assists the management of the college in generating awareness amongst students about the various opportunities present for them to explore. Individual counselling and group sessions are held to assist in a smoother flow of activity. Acts as a link between students, alumni and the work place. Few short-listed companies are sent invites by post or electronic mail of On-Campus Recruitments along with Campus Placement Registration Form. Companies send the duly filled Campus Placement Registration Form by post or email to the Training and Placement Office after which an optimum slot is allocated to the firm. Interested students apply to the T&P department once the details of the Company are informed (as given in Campus Placement Registration Form) and the same is communicated to the company. If needed, Resumes of the applicants are made available for short listing by the company concerned. The Company visits the Campus on the scheduled date for a Presentation. The On-Campus procedure may be held on the same day or on a later date, if collection of Resumes needs to be done in person. The company is expected to furnish the final list of selects on the day of the On-Campus Process. If this is not possible, then the T&P department should be notified beforehand. Once a student is selected in one company he/she will not be allowed to appear for other companies' interviews as per the Recruitment Policy.